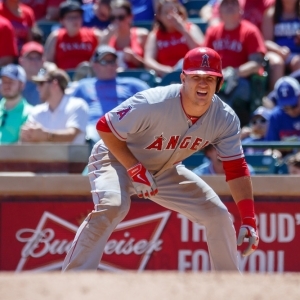 The Los Angeles Angels welcome the Chicago White Sox to Angel Stadium on Tuesday. The White Sox send John Danks to the mound to face Garrett Richards of the Angels. The opening line for this matchup has Chicago at +163 and Los Angeles at -173. The over/under was set at 8. The White Sox have a 52-59 over/under record and a 56-59 run line mark, meaning they cover 49% of the time. The Angels have a 54-59 over/under record and a 53-64 run line mark, which means they are covering the spread 45% of the time. The White Sox come into this game with a 55-60 record, and they are 25-32 away from home. Starting pitcher John Danks holds a 6-9 record with an earned run average of 4.58 and a WHIP of 1.42. The White Sox are 11-11 over his 127.2 innings pitched and he's also given up 141 hits over that time period. The White Sox are also 8-13 against the over/under in his starts. The team is averaging 3.9 runs when he starts. The bullpen has given up 308 hits on the season and have an earned run average of 3.55. The bullpen has struck out 298 and walked 126 batters this season while opposing teams hit .254 against them. Chicago has a team average of 9.03 hits allowed per game and are averaging 8.44 strikeouts per nine innings. With a team earned run average of 4.02, they are 19th in the league. Chicago is batting .249 as a team, which is good for 20th in the league and hitting .255 away from home. The White Sox on-base percentage sits at .303, which puts them at 25th in the league and they have a team slugging percentage of .382. With 127 hits, Jose Abreu leads the team while his team ranks 20th in hits per game with 8.5. With a 60-57 overall record, Los Angeles will come into this game 36-23 at home. With an earned run average of 3.55, Garrett Richards will come into this game holding a 11-9 record and a 1.20 WHIP. The Angels have a record of 13-9 over the 142 innings he's pitched during which he's given up 124 hits. The Angels are also 12-10 against the over/under in his starts. The team is averaging 4 runs when he takes the field. The bullpen has given up 304 hits on the season and have a team earned run average of 3.51. The Angels bullpen has struck out 297 batters and walked 110 this season while opposing teams have hit .238 against them. Los Angeles has a team average of 8.29 hits per game and are averaging 8.75 strikeouts per nine innings. With a team earned run average of 3.51, they are 6th in the league. They are batting .257 as a team, which is good for 9th in the league and hitting .260 at home. The Angels on-base percentage sits at .332, which puts them at 1st in the league and they have a team slugging percentage of .429. With 126 hits, Mike Trout leads the team while his team ranks 19th in hits per game with 8.52. In terms of team defense, the White Sox have a fielding percentage of .984 with 71 total errors, 1,154 assists and 3,096 put outs. Over the course of this season, the Angels have accumlated 65 errors while having 1076 assists and 3,131 put outs leading to a .985 fielding percentage.